Or that following your dreams does not pay well? K. Jyothi followed her dreams and thanks to a startup, is now making her dreams her new reality. Jyothi had always been interested in the art of applying makeup and cosmetics, and used to love watching her mother get ready for social events and such. Daily makeup is almost negligible in Chennai, and hence, often considered pointless by a lot of women. She wanted to change this thought process and prove how women do not need to put on a lot of makeup to feel beautiful. As she says, “A little amount of makeup when applied perfectly can work wonders and give you a gorgeous appearance.” And to this end, she decided to become a makeup artist and change this perception, one makeover at a time. Jyothibegan her career as an assistant to a beautician in the local parlour. One thing led to another and Jyothi moved from parlour to parlour as a trained beautician, learning all the tricks of the trade and gaining as much experience as she could. However, a big change in her life came when she heard of UrbanClap through clients and ads on the internet. While there is a lot of distrust prevalent in hiring services off the internet, UrbanClap stood out. It was a risky venture that had the potential to derail her steady life with her husband and two kids but necessary, she felt, to grow her career and reach more customers. And she wasn’t disappointed. UrbanClap has helped her develop as an expert beautician and encounter a variety of makeup requests that make every day more challenging and exciting. “The increased income due to UrbanClap’s constant support is an added benefit. I can now support myself and my family with my income, while saving money for the future. 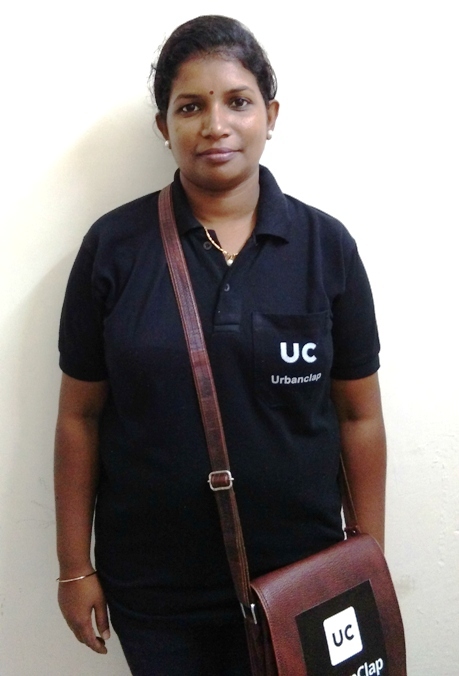 My children can now look forward to a better life with more opportunities before them.” Jyothi used to earn approximately INR 7500 for full time work and 4000 from part time jobs. She is presently earning above INR 20,000 per month. Life is good. Why shouldn’t it be? After all, having the courage of following your dreams makes all the difference.